We really like Hawke's Bay. It has sophistication with great food, excellent wines and a laidback atmosphere. In some parts, such as around Havelock North, you can almost smell the wealth of the inhabitants. A little cut off from the rest of the country Hawke's Bay is a destination you choose to go to, rather than one you stumble across. The weather is some of the best in New Zealand and its main centres are Napier, the city rebuilt after being destroyed by a massive earthquake in 1931, and Hastings, which is not as pretty as its sister but does boast an opera house! 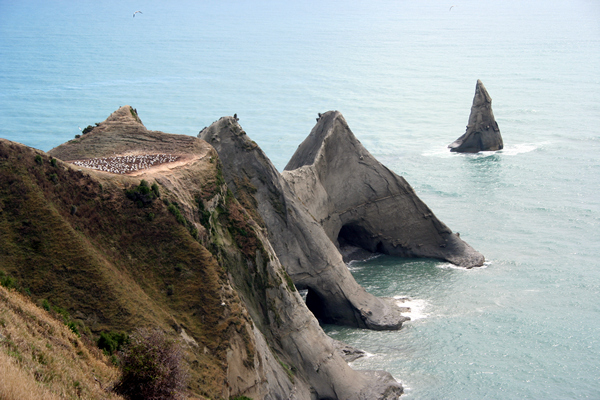 Summer is the best time to visit Hawke's Bay as it really is an outdoors region. 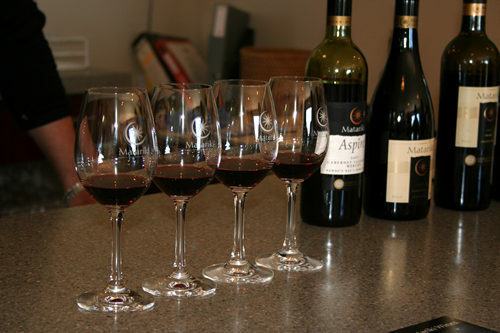 Travel around the wineries, stop and have lunch and just mooch about enjoying the countryside. Take a drive up to the top of Te Mata Peak and check out the views. They are stunning. Look out over the tortured landscape of Hawke's Bay and the azure waters of Hawke Bay (yes it is different), or Cape Kidnappers. 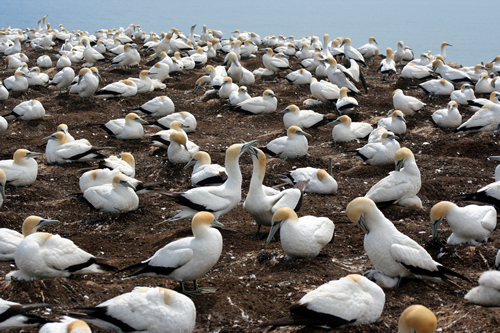 Speaking of Cape Kidnappers - the area boasts some of the largest gannet colonies going and you can take tours to see the birds. Across the road and down a bit from the cafe is Wool World, a magnificent old building that houses a fascinating museum - with live shearing - on the place of wool in New Zealand. You get a great guided tour and can buy wool items as well as see how the little baa-ey things get shorn with both hand shears and modern equipment. Two places that are highly recommended to have dinner at are simply amazing spots. The Old Church in Meeanee Rd is stunning. The building is fabulous, the outdoor eating area is gorgeous and inside it is a decorator's delight. Check out the photos. Food wise, The Old Church is excellent and the prices very reasonable for what you get. Often you'll pay as much for a meal at a city cafe as you will to have a really great night out here. The second highly recommended spot is Pipi in Havelock North. Pipi is highly visible - being a shocking pink building. Inside the tables are pink-and-white stripes and the Wednesday we went in it was packed to the rafters. We learned why as the food was brilliant. The gourmet pizzas are spot on and the pasta dishes superb.